The 8 men final is today, you can watch it on Thai tv, channel 5, 9pm. COSMO vs Iranian guy ? Info taken from around the net, so not 100% accurate. On October 26th, 2009, the most exciting martial arts tournament on the planet lands in Japan at the Yokohama Arena. FieLDS K-1 WORLD MAX 2009 World Championship Tournament -FINAL- promises to be another groundbreaking event that you won't want to miss! This road to the MAX crown ends here! MAX FINAL4 Andy Souwer, Yuya Yamamoto, Giorgio Petrosyan, & Buakaw Por. Pramuk in the upcoming tournament. Knockout Gear announces the launch of the official MMA online store accessible at http://shop.mma.sg. MMA practitioners can now purchase any of the high quality, technology-driven fighting gear from this new website. The event will start at 11AM, the place: FWA. 18 bouts, here's the UPDATED fight card, thanks to Joe! Daniel Ghita's annihilation of three opponents in less than six minutes at the K-1 in Tokyo Final 16 Qualifying Grand Prix was the stuff of legend. In doing so Ghita (pronounced Ghitsa) smashed a K-1 record that many thought would never be beaten, writes MICHAEL SCHIAVELLO. There will be a sparring event held in Suphanahong Gym on the 16th Aug 09 Sun. The event will commence at 1300 Hrs. And the Weigh in will be the day before which is on the 15th Aug 09 Sat at 1700 Hrs. UPDATE: The event is CANCELED. 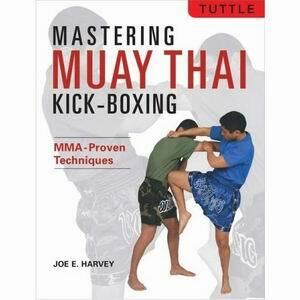 The 1st Asian Martial Arts Games 2009 are taking place in Bangkok, after months of delays. 44 nations sent 892 athletes to compete in 9 sports: Karate, Taekwondo, Muaythai, Kickboxing, Jujitsu, Judo, Kurash, Wushu & Kungfu, Pencak Silat. I heard the selection is taking place there this sunday from 10am to 6pm? Anyone can confirm? Entry 10 bucks. Professors and Ph.D. students in Muaythai under Raja Bhat Mu Ban Chombung University of Thailand and Fight Works Asia presents - Singapore Muaythai Seminar 2009. The Singapore Muaythai Seminar 2009 is a collaboration between the Raja Bhat Mu Ban Chombung University of Thailand and Fightworks Asia. Various programs and courses tailored for practitioners, trainers and the general public alike will span across 2 days: 12th and 13th July 2009 and will be held in Fightworks Asia and sanctioned by the Amateur Muay Thai Association of Singapore. As a token of appreciation, all participants will be awarded with certificates endorsed by the Thailand Ministry of Education. More than 100 fans were present today at Hockey Village muay thai to watch the sparring sessions and cheer for their favorite fighters. Here are some photos from the event, more will come. 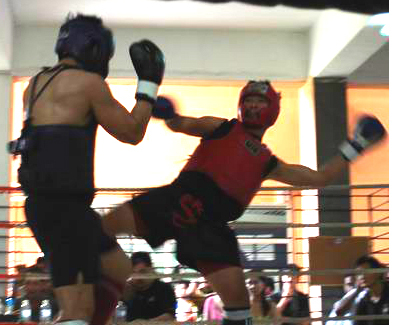 There were 18 bouts including 2 ladies fights. Most of the fight clips are up already. 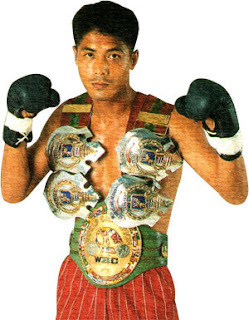 Evolve Mixed Martial Arts (www.evolve-mma.com) will be hosting a Muay Thai seminar with one of the greatest Muay Thai fighters of all time, Samart Payakaroon. John Wayne Parr fought Greece’s Iron Mike Zambidis in Melbourne at "Pay back time". In their 2002 previous fight Zambidis won, but this time JWP was READY! John Wayne The Gunslinger Parr a.k.a. JWP from the Gold Coast, Australia. He is Former 5-Time World Champion and Runner up in The Contender Asia. 97 Fights,71 Wins,35 Knockouts. The Current WKBA World Middleweight Champion. Sinbi fighter Paul from Singapore wins by KO in the 3rd round at Bangla Stadium. As you may know already Hockey Village Muaythai gym organized last Sunday an amateur tournament. Some video clips are posted there already. If you happen to stumble upon more, please share them with us, much appreciated! HAPPY CHINESE NEW YEAR! WELCOME THE YEAR OF THE OX! WISH YOU ALL A HAPPY CHINESE NEW YEAR! AND GOOD FORTUNE TO ALL... AND WELCOME THE YEAR OF THE OX! WOOHOO! Hope its a better year this year and better economic. Train harder and fight harder in the ring... Spare some thoughts for the non-chinese and make this world a better place. Most importantly, hope the war in Gaza can finally come to an end, with no more killing and innocent lifes being lost.